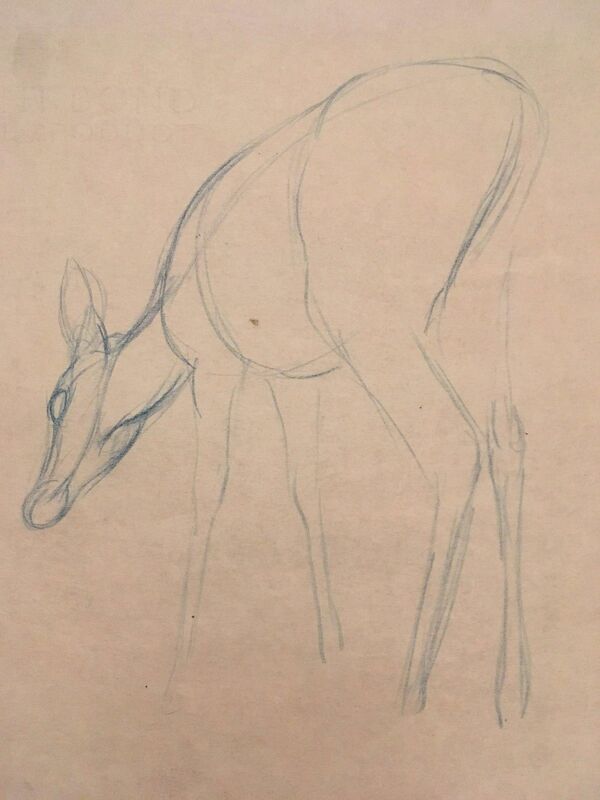 Some of these look like Garbutt's own work, others could be by animators in the classroom. I recall vividly how Frank Thomas described his frustration when Walt Disney asked for unprecedented realism for the animation in Bambi. 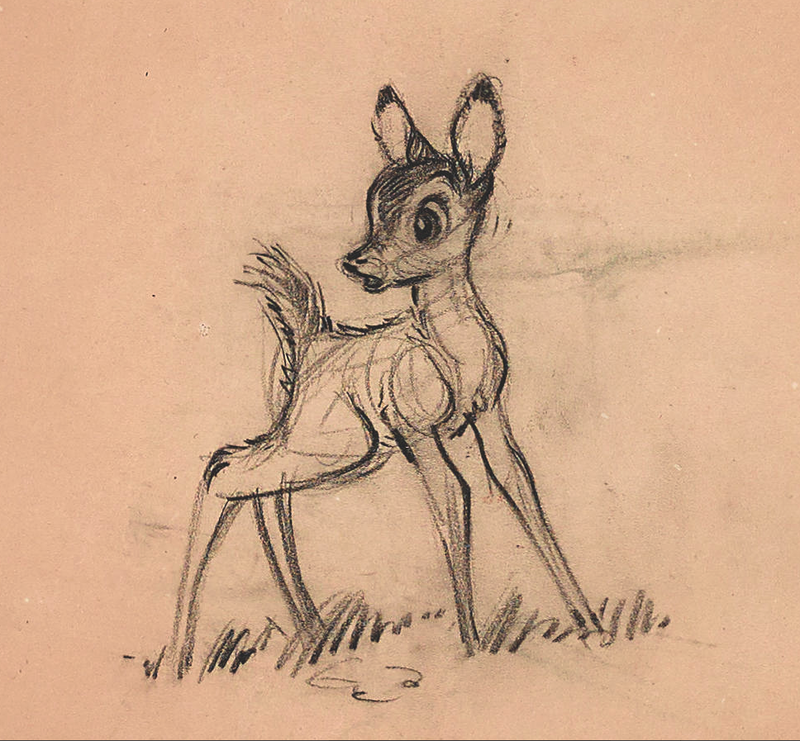 "You look at a real deer who's body is full of bumps, bones and muscles...how on earth were we going to animate all that?" 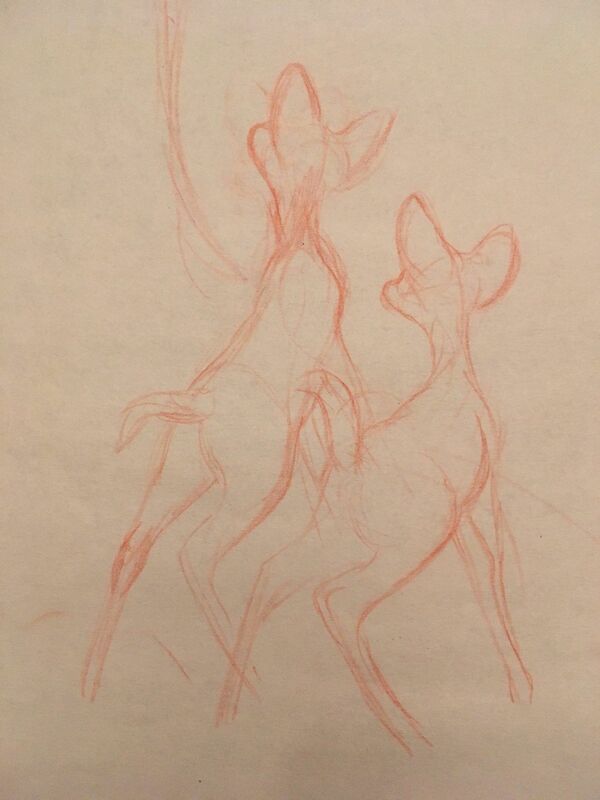 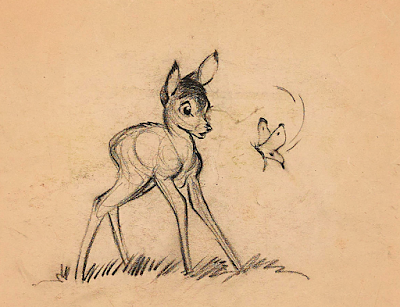 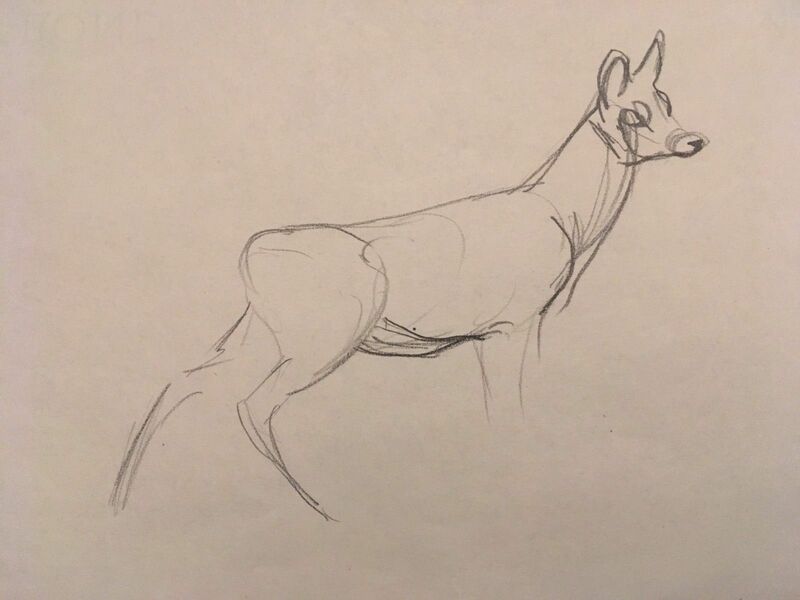 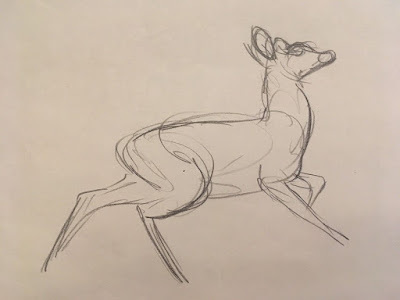 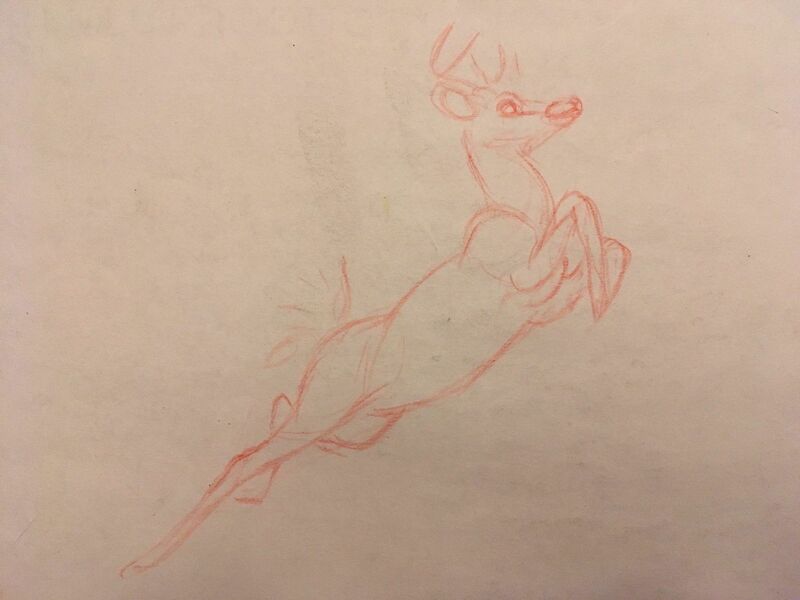 Everybody learned a ton in Garbutt's classes, and when Marc Davis stepped in with his realistic, yet cartoony story sketches, the vision for Bambi's animation became clear. 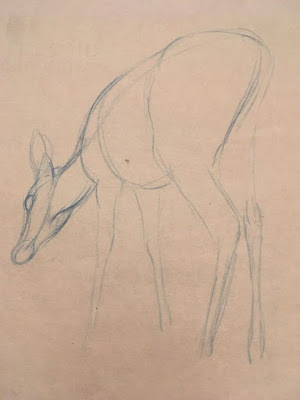 More on Garbutt in this previous post. Sheer genius!